Cardiovascular diseases (CVDs) are the main causes of mortality and disability worldwide. Although the initial therapeutic approach to improve the main cardiovascular (CV) risk factors is based on nonpharmacological measures, mainly lifestyle modifications, compliance to recommendations is often poor and inadequate. Therefore, in recent years the use of several nutraceuticals, i.e., nutrients and/or bioactive compounds of plant or microbial origin with potentially healthful effects, has become widespread. However, to date, the scientific data on the possible benefits of the use of nutraceuticals are still inconclusive, due to the absence of adequately controlled intervention studies at least for some of them. Against this background, the scientific evidence derived from controlled intervention studies in relation to the effects of some nutraceuticals (i.e. fiber, phytosterols, soy products, red yeast rice, polyphenols and berberine) on the main CV risk factors (body weight, blood pressure, blood glucose levels and plasma lipids) in humans will be reviewed. 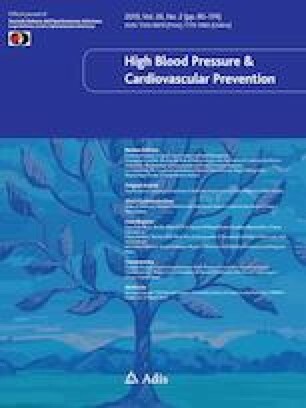 This article is part of the topical collection on Nutraceuticals in Hypertension & Cardiovascular Prevention. Angela Albarosa Rivellese declares that she has no conflict of interest; Paola Ciciola declares that she has no conflict of interest; Giuseppina Costabile declares that she has no conflict of interest; Claudia Vetrani declares that she has no conflict of interest; Marilena Vitale declares that she has no conflict of interest.